Developed by Crytek and originally released in 2013 for PC, Warface has been a longstanding free-to-play first-person shooter in the PC environment, especially with the international market. The game currently has 40 million registered users and broke a world record for most players on one server in 2013. In 2014, an Xbox 360 port was released, but was discontinued less than a year later. At that time the free-to-play market on consoles wasn’t quite where it is now. The current generation of consoles is where free-to-play really started to take off. Next month, Warface will be be coming to the PlayStation 4 (in Early Access, with a September release on both PS4 and Xbox One), a release five years in the making. 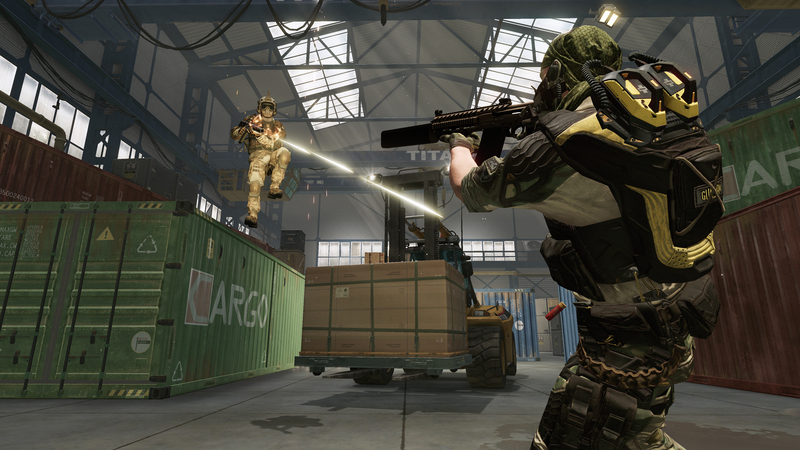 At a glance, it would be easy to write off Warface as a free-to-play Call of Duty clone. I’ll be the first to admit that I was skeptical going into it. Yes, it shares some similarities with Activision’s yearly shooter franchise, but doesn’t every first-person shooter? Warface does a number of things to really set itself apart from the competition, not the least of which is being completely free-to-play. At the core of Warface’s gameplay are four distinct classes and a focus on team play often not found in the usual “shoot the most people while dying the least” culture found in other shooters. It sits in a sweet spot right between the typical FPS and hero shooters that require a bit more team synergy. Each of the four classes plays quite differently from one another. The Rifleman is the default shooter character, employing auto rifles and light machine guns to lay down heavy damage. They can also replenish their team with ammunition throughout the fight. Snipers fight from a distance and are the only class that can issue one-hit kills on body shots at distance. Engineers use SMGs and can replenish the team’s shields. And finally, Medics are a crucial part of the team makeup, using shotguns and utilizing the ability to revive downed teammates. After toying around a bit with each class, I found that they each had a distinct spot that they filled. I had a lot of fun playing as a Sniper and a Rifleman in PvP matches focused on kills, but leaned towards the Medic and Engineer to support my team in PvE and objective-based PvP modes. Every role has a part to play on the team, and our group quickly discovered that front-loading the team structure with too much of one class while shirking the others was an easy way to lose. Specialist Operations are raid-like PvE encounters for five players that take anywhere from 40-60 minutes to complete. The first one we played was in a snowy environment. We shot a few enemies, took out some helicopters with rocket launchers, and then were brutally assaulted in the trees. Our team synergy was pretty good, but as one of the first things we did, we were still trying to figure out how to use our abilities. Our medics weren’t able to revive us in time and we perished. Alex Shimov, the Project Lead on the console version, let me know that they are still tuning the UI to better communicate how to use various functions and abilities. Two of the most difficult parts of porting a PC game to console are translating the inputs to a controller and making the UI more friendly to those players. With that in mind and a better understanding of how to lean into our roles, we hopped into another Specialist Operation. This time we were in a building and each floor held a new wave of enemies. At first they were standard soldiers with guns, but that quickly became zombie-like cyborgs swarming us, and eventually we faced both at once. Even on easy, this one tested our resolve. It also didn’t help that we had a self-imposed handicap when no one on our team picked Medic, so it was a constant struggle to not die or pull out clutch moments where the last man standing would somehow finish out the wave. We didn’t end up finishing this one either, but neither did the other group who chose all Medics, which really limited their ability to stay full on ammo. Warface remains playable no matter what your team makeup is, but you’ll be presented with some significant challenges should you choose to overlook the utilities of certain classes. We were told that the Specialist Operations each offer vastly different experiences, and this seems clearly evident just based on how different the two that we played were. There are four Special Operations and three difficulties for each, all with their own rewards and achievements. In fact the sheer breadth of things to do across the PvP and PvE portions of the game give Warface the opportunity to appeal to a broad spectrum of shooter players. If you get bored of one mode, just move onto another one to continue earning rewards in the game. 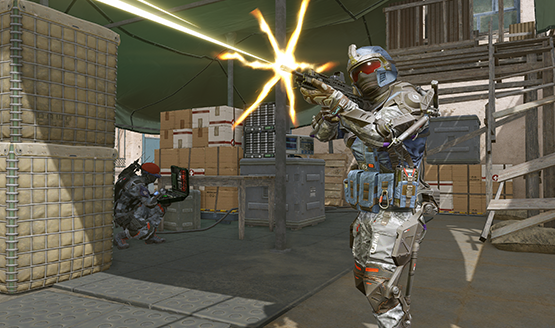 Being a free-to-play title, there’s always the concern of pay-to-win options creeping in, but Warface stands on a platform of “Play to win, not pay to win.” This means that any premium content behind a paywall is cosmetic in nature, and players who don’t pay anything stand on even footing with players that do. It’s a game that has held strongly to this ideal for five years, so there’s no worries that a move to the console environment will change that mantra. New content updates will always be free, which means that players will always have something new to do. Initially, the console release is going to be a slightly pared down version. Over the few months following that launch, they will bring it on par with the PC version. Once everything is synchronous across platforms, all new updates will release simultaneously for everyone. This means that PS4 players will be getting a free-to-play game with five years of content, modes, and rewards backing it, including a Battle Royale mode of its own. Warface will be getting a closed PS4 beta later this month, with Early Access opening to PS4 players on August 14. The full release for the game is set for September on both PS4 and Xbox One. 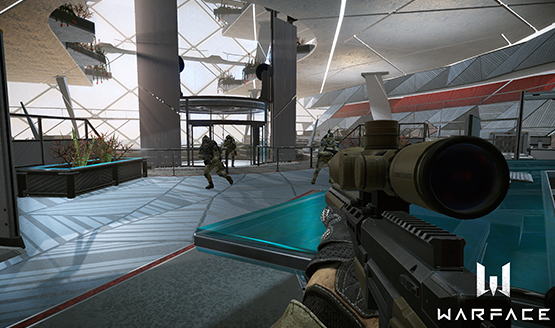 Warface PS4 hands-on preview was done at an event. Travel and accommodations were provided by My.com.